Fr. Tupper was the riverboat doctor; Brother Ivo, the bicycle friar. Now we have Fr. 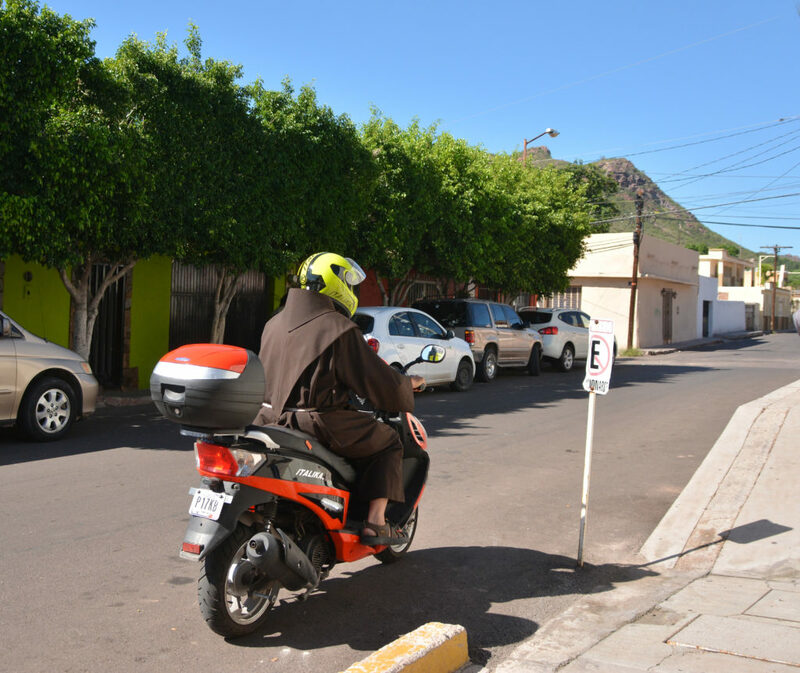 Tommy, the motorbike friar. His high school friends donated a motorbike for him to ease the high cost of gas in MX and to avoid constant auto repairs. Drive carefully, Fr. T, and don’t forget to wear your helmet! Love this photo! Stay safe, Tommy!